I’ve certainly found this to be true, and often ask parents and students for their teaching advice, and definitely never hesitate asking the same of my colleagues. This seems to be a variation of The Ben Franklin Effect, which I’ve previously discussed on more than one occasion. You grow to like people for whom you do nice things and hate people you harm. Many teachers know that an effective classroom management move to turn a disruptive student into an ally is by giving him/her responsibilities in the classroom — tutoring another student, offering them a key classroom job, etc. 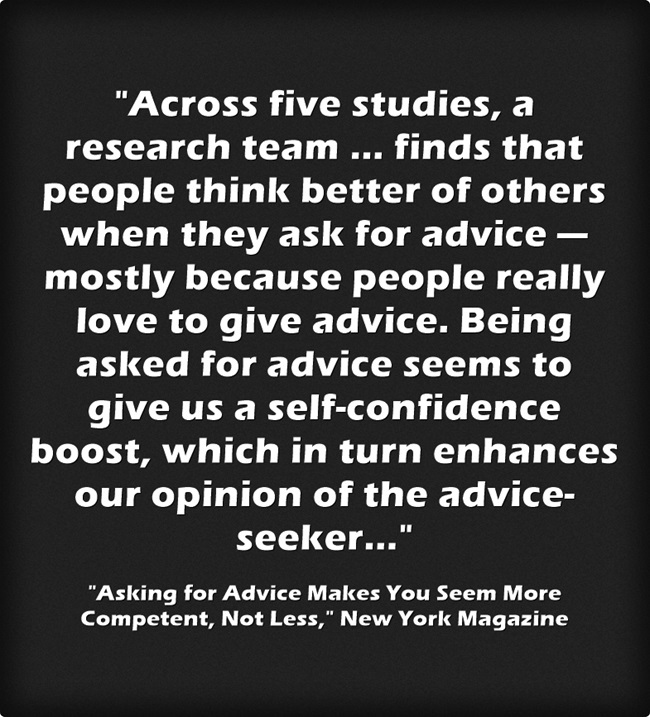 How has advice-seeking worked for you?